My serger is back in business! I placed an order for knives from two different places. The first set came last week and they weren’t cutting ($56). The second set from Euro-Pro ($76) came today and they are cutting! I’ve already contacted Euro-Pro to exchange the crappy blades from 2007 (brilliant idea Michael!) and will get store credit (less 25 percent) from the other store. So, when all is said and done, I’ll have four sets of knives on hand. Apparently, they stopped making sergers back in 2005. But, the serger has a 15 year warranty and they said they will 1.) stock parts for at least the next 10 years 2.) My blades are kind of standard so they should not be too hard to replace. Even better, they also emailed me a PDF on how to use my extra feet (elasticator, piping foot, beading foot, blind hem foot and ruffler). I lost the directions ages ago. So, today, I LOVE MY SERGER!! You would not believe how stressed out I was getting at having to buy a new one. I was literally sad about my serger. I talked to any and everyone about it. It was foremost on my mind for days! I have two more ballet skirts I whipped up to show and incremental progress on my Hot Patterns Pyramid bag. More to come my friends! YAY! Finally. 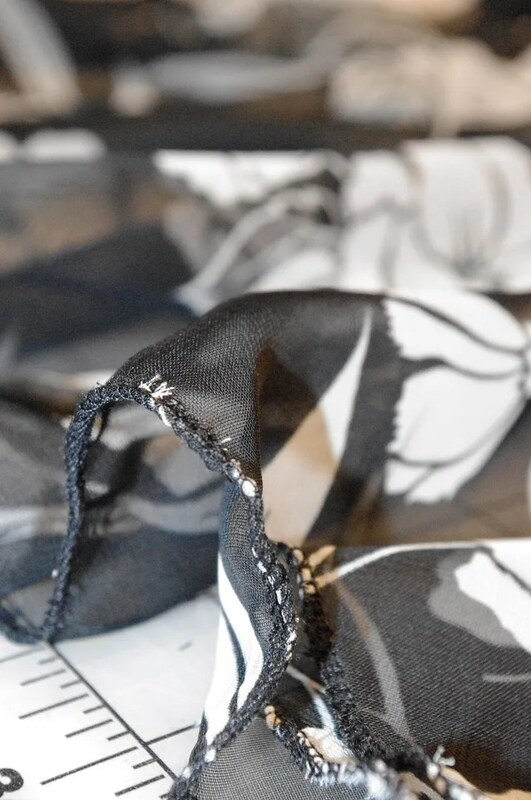 I cannot imagine sewing without my serger! So happy for you. Being without one’s equipment really dampens the spirit. Congratulations on getting your serger up and running! That would frustrate me to no end too!! Isn’t the serger a wonderful invention!!! Hooray!!! If this were facebook, I’d click on “like”, lol. I’m glad that all is right with your serger now! That title caught my attention because of the news of the day:). It feels pretty terrible without the machines in our lives. I would feel pretty lost without my sewing machine, even if it just sits there idly. Let’s not go into the computer and related. Hey – what model of Euro-Pro do you have? I have one that will likely need new blades by spring! Congrats!!! There’s nothing worse than being unable to sew and having the urge to do so. I know! My serger is sitting in a box feeling very unloved. My machines don’t like me much these days, they’re so dusty. They’re going into therapy soon. I also really like that previous article of yours – about not pressuring yourself into sewing a formal dress. I’m so with you on this. I hated my overlocker for years and a few months ago I did a one day course to learn how to use it. I now understand rolled hems and all sorts of things. I don’t have extra feet, but I want some now I know what my poor machine can actually do. I feel a little guilty about hating it for so long! Those blades look the same as the ones that fit my Janome. I like me a little miracle now and then! Yay for working sergers! 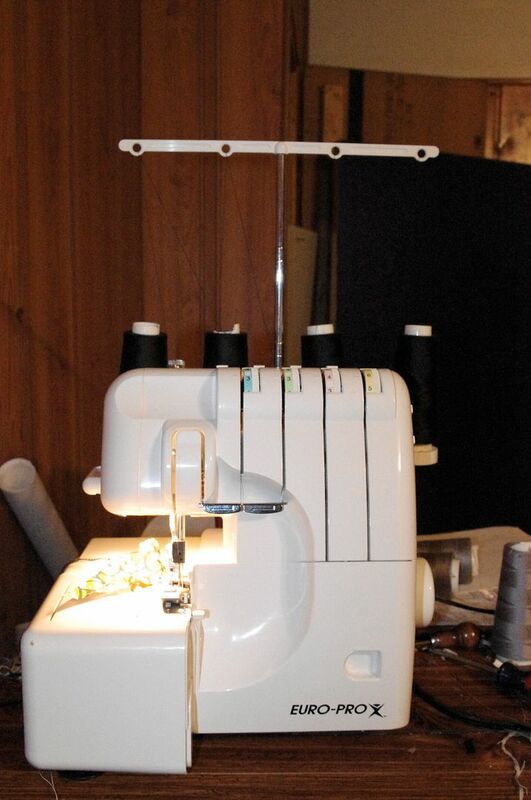 I have an old New Home (present-day Janome) 3 thread serger. It worked great up until recently, I am so sad. I have wanted a 4 thread machine for the longest time, but was hoping to get a few more years out of the one I have now. 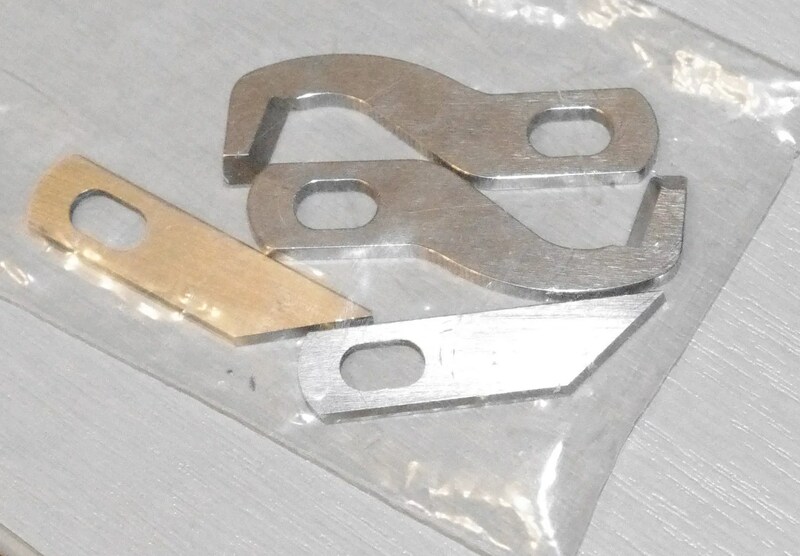 I ordered a book on sergers, I am hoping that will help me fix the problem! I love the ballet skirts, by the way. Makes me wish I still took ballet class. When my serger went belly-up last year, I didn’t even think, I ordered a new one within a couple weeks. You just can’t do without one. That is I like to wear knits, so I can’t do without sewing them..